MANILA, Philippines - A Filipino billionaire landed the cover of Forbes Philippines' first issue. Forbes Philippines on Tuesday revealed Alliance Global CEO Andrew Tan is on the cover of its first issue. Tan is the fourth richest Filipino, and 330th in the world, on the 2015 Forbes Billionaires List. His net worth is estimated at $4.8 billion. 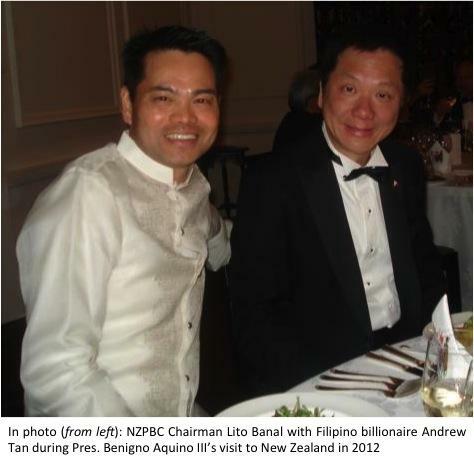 His businesses include property (Megaworld), liquor (Emperador Distillers), fast food (McDonalds franchise for the Philippines), as well as hotel and casino (ResortsWorld Manila). Forbes Philippines is being published in the Philippines under a licensing agreement between Forbes Media and Gokongwei-led Summit Media. Its initial circulation will be 10,000 a month. On the Forbes website, William Adamopoulos, CEO/Asia of Forbes Media, said the launch is timely "given the Philippines’ rising economic prospects and its fast-growing community of CEOs, entrepreneurs and investors."